There are only thought to be about 50 Apple 1s still in the wild, this is the second one up for auction on eBay in a month. 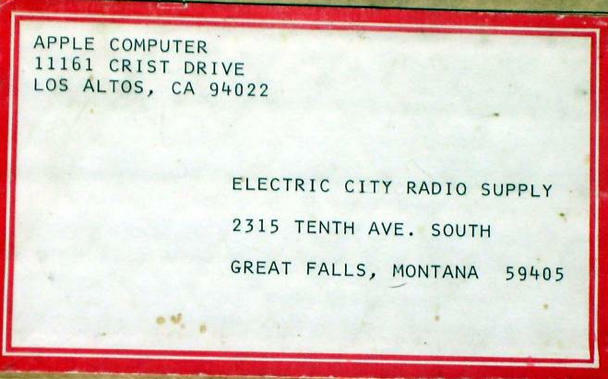 The last one sold for about $18,000, several thousand over its estimated value, to an anonymous computer collector who also tipped us off about the sale of this 1976 progenitor of the personal computer. The starting bid is $50,000. So why is this Apple 1 , which the seller states won’t boot up, priced at 177% more than the other one? 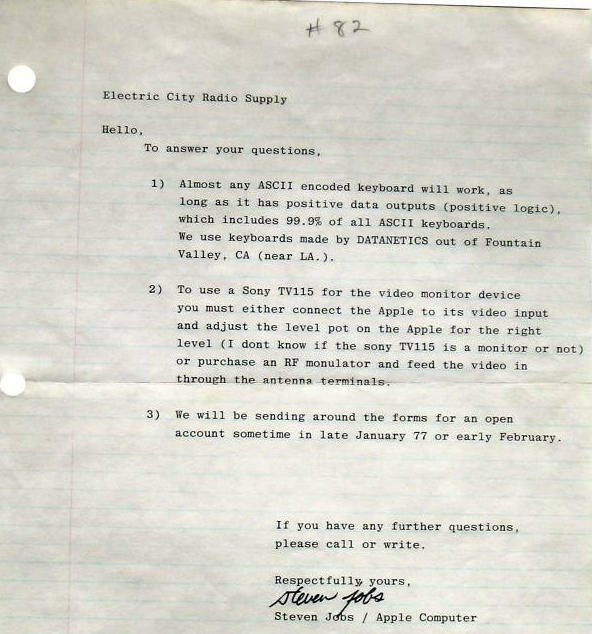 It’s pretty much a capsule history of early Apple: the wise person who first bought it for Electric City Radio Supply in Montana kept everything — the invoice, the box (which shows the return address as Steve Jobs’ parents house), a cassette with BASIC, the operation manual and a typed letter on ring binder paper from Steve Jobs answering questions about it, including how to hook up a keyboard. Even if you don’t have the cash, the photos are worth checking out. We wrote to the seller, more when we hear back. Seller notes: This unit has a single addition, a keyboard port added in a mid-80s attempt to get it to boot up. The seller lives in Roseville, California, the auction’s running for another five days, until November 18.